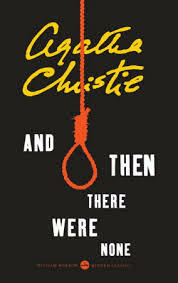 On April 19th we discussed And Then There Were None by Agatha Christie. We agreed that this was a wonderful book and must have had quite a reaction in 1939 when published! Christie interwove characters throughout the novel leading to a surprising conclusion. It was a great read.